Bring your Golden and have a beer all to benefit EGRR! Bringing these dogs to Seattle is an expensive venture. Consider supporting our efforts by a tax deductible donation. You can now help us when shopping at Amazon.com. Click here to start! 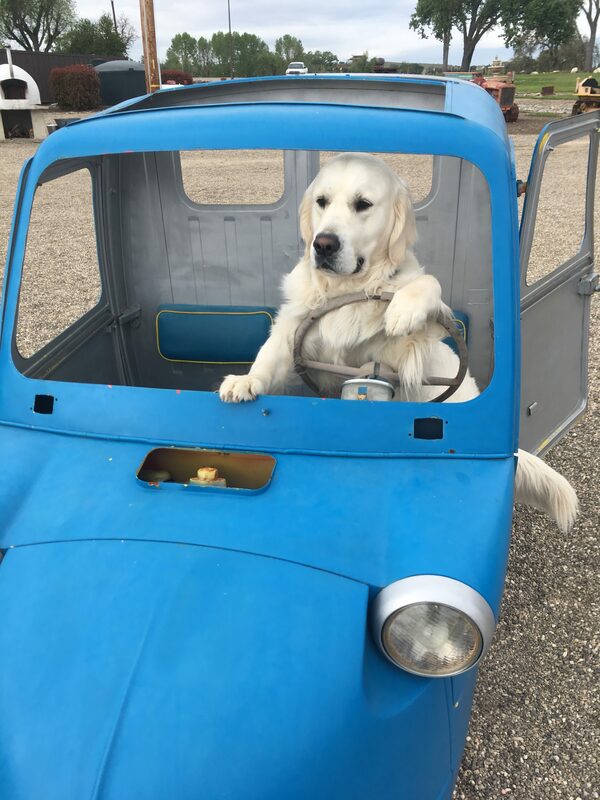 Evergreen Golden Retriever Rescue is a 501c3 non-profit charitable organization staffed entirely by dedicated volunteers who work tirelessly to change for the better the lives primarily of Golden Retrievers in need. As stewards of these dogs many of whom have been forgotten by their owners, EGRR volunteers bathe, feed, transport, socialize, train and care for the needs of these dogs. This dedication of our volunteers comes from a love and commitment to this wonderful breed regardless of the origins of the dog. EGRR volunteers also strive to educate the public in responsible pet ownership in an effort to insure the success of our placements and when possible, avoid the necessity of an owner having to place their dog. It is our goal in this education process to arm people with the knowledge needed to make the best choice for themselves and their dog. 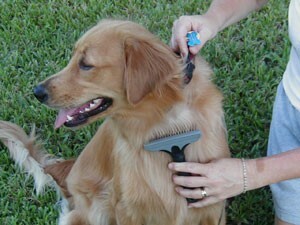 A golden is a double-coat breed. Its coat is made up of two parts – the long and smooth outer coat, and the soft and fuzzy undercoat. These two layers work together to protect the skin from sun, heat, cold and moisture. The fur acts as an insulator against ALL weather conditions. Double coated breeds were meant to work outside in all kinds of weather, and removing that coat does not make them cooler, but compromises their body’s protection. Dogs do not release heat through their skin. They “sweat” through the pads and feet, and release heat via panting. Removing their coat does not make them cooler, but rather exposes more of the skin’s surface area to the sun and heat, making it more difficult to cool down. Furthermore, goldens were bred to retrieve water fowl, the golden’s coat also acts as a water repellant and is designed so that dirt and debris is kept from the skin and brushes off easily.